At this time of year the Upland Rangers start to think about how the projects on the fells will go. Most of the work we have this year are on sites that the team have worked on previously and each site brings back memories. Probably the biggest project for the team this year is on Coniston Old Man. The overriding memory here was when we were given the task of removing a rather large boulder from one of the paths. We managed to remove it safely to the side of the path using some serious winching gear. For some reason, whilst moving the rock we all had a serious urge to see if we could get it to roll down the fell side and into the Tarn. We managed to restrain ourselves, but only just. Would other people have this urge or was it just us? One of the jobs we’ll be returning to is Martcrag Moor, near Langdale. Five years ago we completed a floating sheep fleece path through a peat bog area. 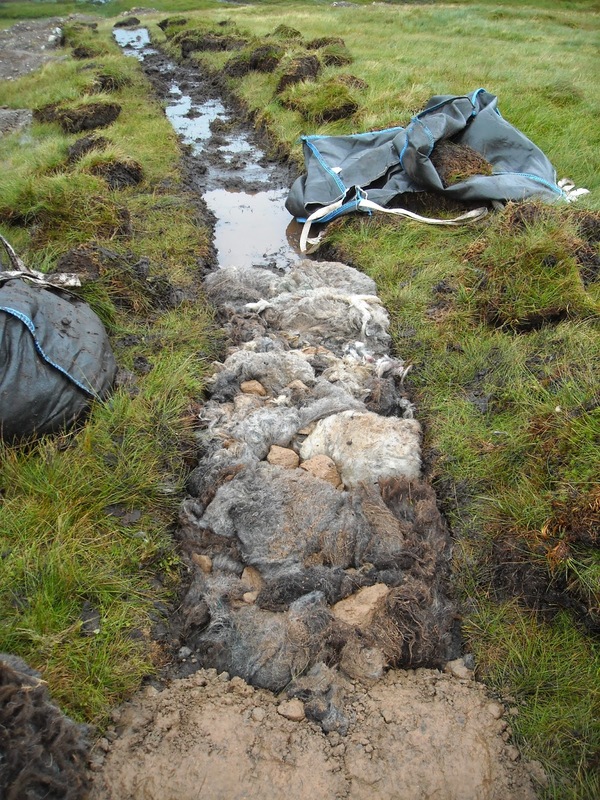 The theory is that the fleece stops the gravel from disappearing into the peat when people walk on it. Whilst constructing the path we had many a horrified look from walkers who passed by. We realized it could easily be mistaken for a mass grave for sheep. We then reacquaint ourselves with Raise Beck, above Dunmell Raise. This path treks along the bottom of a steep sided Ghyll that eventually climbs up to Grisedale Tarn. Memorable for one team member in particular due to the fact a sheep nearly took them out. The sheep was grazing on the fellside above and whilst it was trying to get to some nice grass on the other side of a boulder field, it dislodged a rock the size of large Beach Ball. The rolling rock gathered speed descending the steep hillside and only just missed the unaware Ranger by a couple of Feet. Last but not least, we’re returning to Striding Edge. Of all the sites we’ve worked on over the previous years, it’s this one that remains the most memorable for the team. The best views, the longest walk in, the highest walk in, the most atmospheric and the record holder for the furthest a landscaping bucket has rolled when misplaced. Wanted: willing participants to test out new and exciting play trail features! I’ve said it before but I do love my job. The sheer variety of day to day work and projects we get to work on keeps me on my toes and eager to keep learning more! Testing out the dens: It can be a tough life being a ranger! 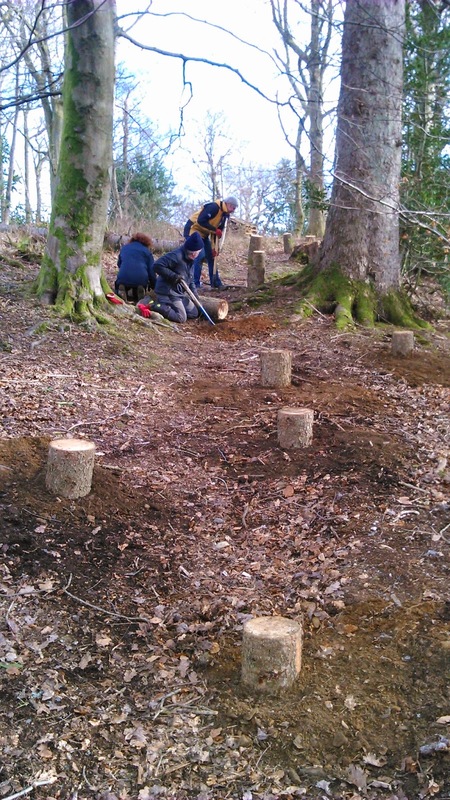 The best part of it by far though is looking after and developing the Natural Play Trail at Wray Castle. Phase 1 saw the construction of a scrambleboard, a slackline, stepping stones, balance beams and plenty of den building material! Many people tell me that they love the trail and can’t wait to see what comes next! So we are excited to announce our phase 2 plans! Scrambling up to the trail! It might look like we just go out and have fun moving woodchip, digging in posts and constructing scrambleboards and climbing features! Well we do, but we also do lots more besides. We have less exciting but equally important jobs to do, in particular checking the trail regularly, and continually updating the checksheets and the risk assessments! All to keep the trail as fun but as safe as possible! Gathering materials for the trail can be an interesting task too! Last week, I found myself ordering a new slackline, more rope, screws, bolts and various bits of timber. 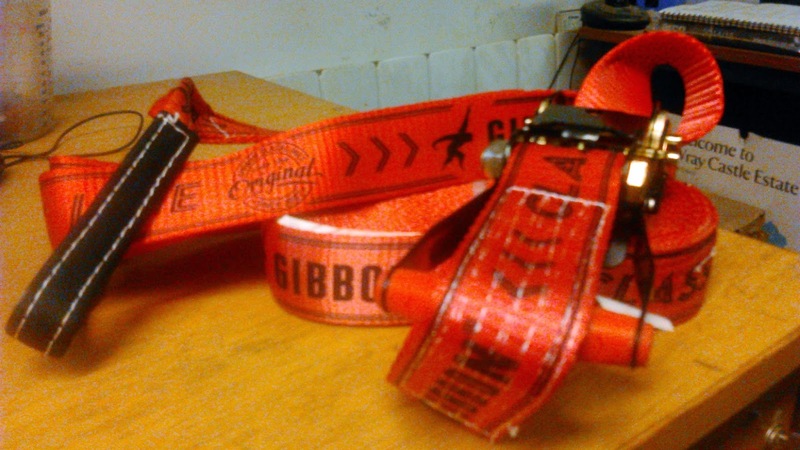 Who would have thought that slacklines come in different colours? A slackline in ranger red? Yes please! 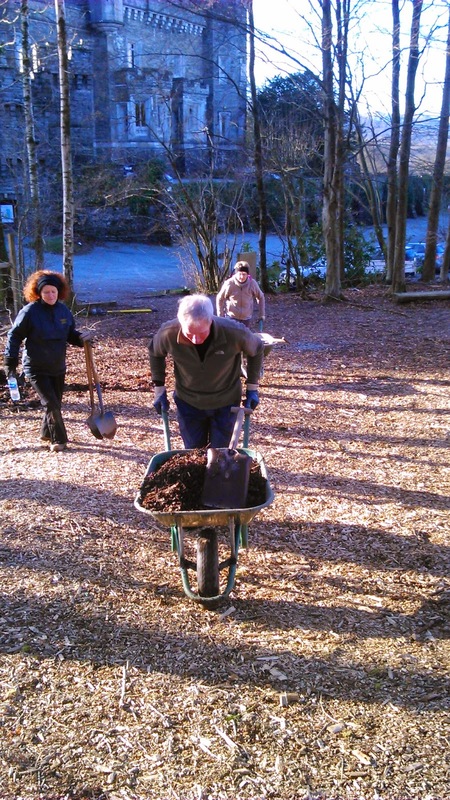 Without the help, dedication and enthusiasm of our volunteers we wouldn’t be able to create the play trail! So a massive thank you to all who have been involved and will be involved in the future months! Dedicated volunteers! I had to order the sun especially! 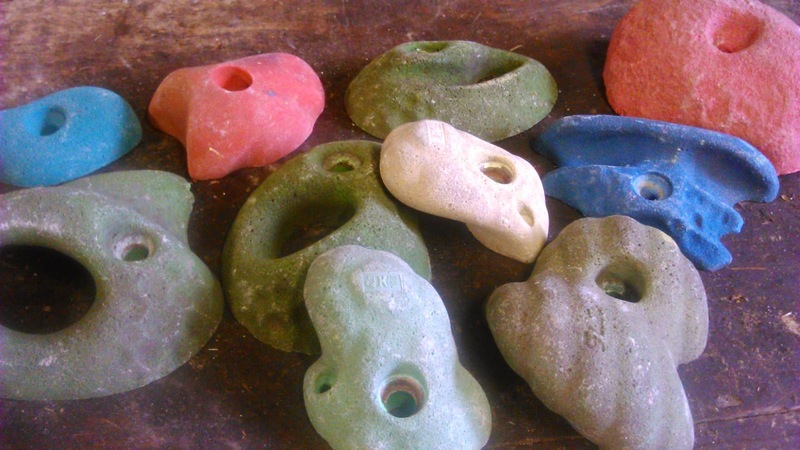 1) Climbing traverse – Test your climbing skills by traversing up and across the slope to join the main trail! Is it as easy as it looks? 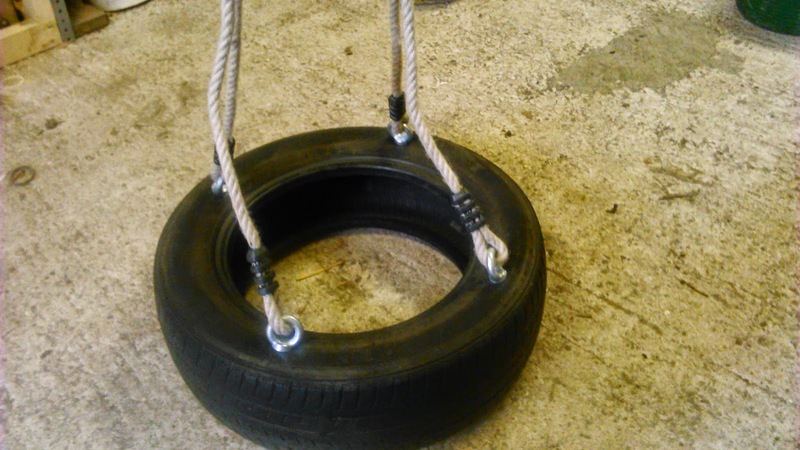 2) Another tyre swing – the current tyre swing has been so successful that we are going to put in another one! I can't wait to test this one! NB: some of the eagle eyed amongst you will notice that we have had to take down the tyre swing temporarily. Never fear, it will go back up very soon! 5) A muddy pit – Mud, mud everywhere… come and find worms in our muddy pit, create mud pies or get your wellies on and get stuck in! *warning* parental advisory – muddiness very likely! Be like a volunteer or ranger for the day - getting muddy is fun!! 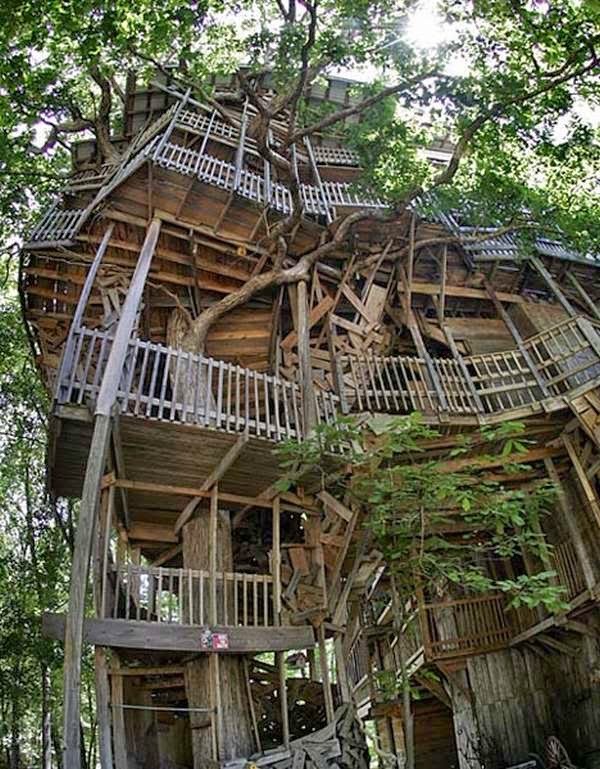 Ok, so perhaps this is a little too elaborate for the size of trees in our woods! But we are looking forward to getting your ideas! I can't wait to get my hands dirty constructing it! Watch this space! If you see us working out and about on the trail over the course of the next few months, come and have a chat! We love hearing your ideas and we are always in need of people to test our creations! One of the great things about working at High Wray it is that we are playing our part in helping to keep traditional skills alive. One such skill is hedgelaying, which is carried out all over the country with regional variations in styles and techniques. It’s a fascinating process with a long history – according to the National Hedgelaying Society in 55BC Julius Caesar mentioned a tribe in Flanders using techniques recognisable today. A winter task often means chilly conditions! Hedgelaying is a job that can only be done in winter when the sap is not rising. It involves cutting hedge plants most of the way through their stems and ‘laying’ them on their sides to form a stock proof barrier. The traditional tool for this is the Billhook, although often today hedgelaying is done with a chainsaw. As well as looking good, a laid hedge provides shelter for the stock, encourages new growth in the plants and makes good ground cover for wildlife. The regional variations come (amongst other things) with the differences in how steep an angle you lay the plants, how wide and high your hedge is and where you put wooden stakes to hold everything in place. So it’s a satisfying, traditional skill that many regular local volunteers look forward to each winter – although for some we’re sure that has a lot to do with the fact that when you’re hedgelaying you generally have a nice big fire to burn all the excess bits of wood! We also run National Trust hedgelaying working holidays which adds an extra level of interest for us as we will often have some quite experienced people from other parts of the country turning up to ‘see how we do it here’. Not only do they bring different knowledge and experience we can pick up on, they sometimes bring all sorts of interesting tools and equipment for us to admire too. By the time we finish this year’s hedges the season will be over for the year and we’ll be moving on to other tasks. We look forward to this time, not because we don’t like hedgelaying but because the end of it heralds the start of spring and all that glorious sunshine that’s no doubt heading our way …..